Grab any candies or manipulatives and just print. 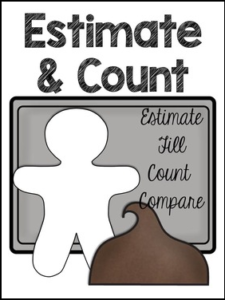 Students will have a blast estimating, filling, counting, and comparing. I hope you enjoy! For more gingerbread activities check out my Gingerbread Bundle!